I’m no social media swami or tzar or a wizard. I don’t do magic, but I can be the professional that gives you results. Dived in social media at the beginning of 2011. For the last 5 years I've worked in fast growing tech startups and started the adventure of being a freelancer, helping businesses of all sizes and colours create an authentic voice, build online communities, engage followers and generate leads. Recently I started my own social media agency WiiN that aims to establish an authentic and true connection between brands and their communities. It’s time to ditch those aggressive marketing tactics and build a true genuine connection with customers. For me marketing is about having a clear mission, delivering value to customers and building an engages and happy community. I’m all for growing a business that makes sense and makes a difference. Two weeks ago, I received a Twitter message from a contact of mine whom I’ve actually never spoken to. Why tell you this? Well, I’m about to share a smart move you can do to create hype and start building you user base—before launching your product. I mean, think about all the software products that are released that no one even knows about; they have no followers and no users, even though they may actually be good products. It’s a good idea to start creating hype and letting people know about your product even before it’s released. This way, you’ll already have at least a small user base to market your product to. Normally, I would get annoyed if somebody tried to promote themselves like this…but not this time! Why? What did he do differently? Well, he approached me in a friendly and casually manner, as he would in a conversation. He started by pointing out something we have in common, and then nicely asked for help. Nothing annoying in this message! Lesson 1: When directly approaching a potential customer, avoid pitching to them. Instead, point out things you have in common (interests, people, pleases, goals, etc.) and start a friendly conversation, maybe asking for an opinion, help, or advice, or simply give them recognition. So, after reading the message, I thought, Yeah, why not help a fellow entrepreneur, and I clicked on the link to help him choose the best logo for his new product. Notice that after the introduction, the first 3 paragraphs give information on the company, so now I know what I need to about Idea Hunt. In 2 minutes’ time, this new product has been introduced to me without any transparently salesy pitches. Now we’re getting to the actual point: selecting the best logo. The form presents 5 images that incorporate the company logo while also stimulating visual memory. I have to choose my favourite logo, which means that I have to take a good look at each one, evaluate its design and make a decision. By this time, I’m already quite engaged with a product I knew nothing about 5 minutes ago. The form then asks to choose a second favourite logo, ensuring this startup stays in my head for quite a while. By being asked to think about and suggest improvements on a form such as this, a product can ensure a longer engagement time from potential users (me, in this case). At the end of the form, I’m casually asked if I would like to be notified when the product I helped create will be launched. No pressure—there’s always the option to skip this field. But let’s be honest, now that my attention has been caught and I’ve been engaged with that product, of course I’ll give my email—even if it’s out of pure curiosity to know which is the finalist logo! I finished the form and replied back to Elia. Yup, I agree with the guy Once again, his reply was friendly and he spoke about his project without sounding salesy. Lesson 2: Present your product to potential customers in a non-direct way. I mean, come on, this online form was not made for choosing a logo—it was aiming at introducing Idea Hunt to potential users. But instead of boring people to death telling them about all the features and advantages of your product and asking for a signup or a purchase, you can follow suit and place your product name it in their heads in a creative and non-aggressive way. Ask for an opinion and suggestions as Elia did. Ask how they would use it, what advantages or disadvantages they see in your product. Make them feel like part of the product creation process. What matters is that they get to know and remember your product. Signups and purchases will follow organically. Here’s a link to the online form in case you want to study it and/or use it as a template. So yup, once again, I’m asked to participate in the product creation process and engage. There was no way I was going to forget about this startup any time soon. The second Typeform started with a short reminder of what Idea Hunt is, and this time my help is needed to choose the best color, coloring style composition and font for the winner logo. At the end, I’m once again informed that if I want to be notified about the product launch, I can leave my email address in the form field. It’s a good idea to run such a pre-launch campaign a week or 10 days before the product release. This way, you notify people on time and you give them a few days of a “break” from you, but not enough to forget about your project. 6 days later, I got 2 emails and 2 Twitter messages. One email directly from Idea Hunt announced that they’ve gone live on Product Hunt, and a second email from Product Hunt itself notified me that a person I follow (Elia) has published a product. Notice the importance of previously building a following of users relevant to your project. 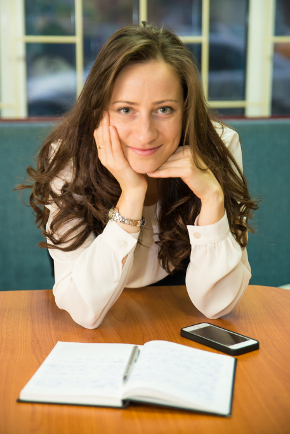 Elia Morling did a great job creating hype and gaining a base of potential users before the product launch. He also chose the right platform for releasing Idea Hunt. As of writing, his product has received 758 upvotes on Product Hunt and many, many comments. Another intelligent thing he did was use the business concept of Idea Hunt as a pre-launch campaign strategy. The core of Idea Hunt consists in engaging with a community of potential users in order to generate feedback and implement product improvements while also driving leads. Isn’t that what he did when he was asking to get help with choosing the best Idea Hunt logo? Lesson 3: Once you have captured the attention and mails of potential customers select the right platform where to hold the big launch event. Send emails and messages to make sure that everybody will assist and support you project. Organize the product release in a way that you achieve maximum user engagement and virality. Encourage users to share or to speak about you, maybe organize a mini game, competition or an exclusive giveaway. It’s all up to your creativity and product specifications. Keep the communication with your community. 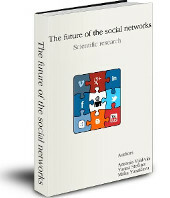 The book “The Future of Social Networks” is a scientific research that seeks to find the direction that social media will take in the next 3 to 5 years. Which trends will pass and which will stay to shape the future of digital networks? The research includes interviews with experts in the spheres of IT, Online Marketing, Sociology and Phycology. It analyses and resumes the interviews, extracting valuable information and conclusions. In the paper you will find the top 6 trends that will change the social networks as we know them know.